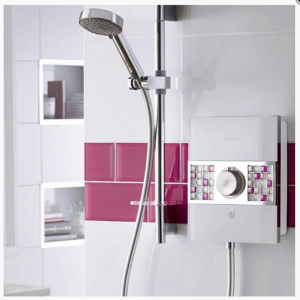 Aqualisa launch two stunning new shower ranges! Known as the home of sensational showering, Aqualisa have launched two brand new shower ranges which are everything their slogan suggests. First in line is the Aqualisa Sassi electric showers which allow you to customize your look according to your bathroom, with a stylish range of five interchangeable mosaic colours. 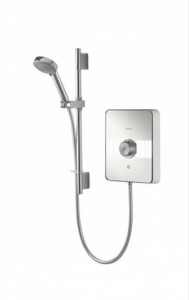 In addition to its contemporary design the Aqualisa Sassi range delivers outstanding showering performance and safety, with many built in features such as over temperature protection, delayed shutdown and integrated flow regulators which help save water. They are available with a choice of 5 fascias, and 8.5, 9.5 & 10.5kw power ratings and include a comprehensive 2 year manufacturer’s guarantee. And if that wasn’t enough to wet your appetite, the new range of Aqualisa Lumi showers are the ultimate style statement for your bathroom. Featuring all the benefits you have come to expect from an Aqualisa product with the added extra of a stylish illuminated panel the Lumi range of electric showers are packed full of safety features such as over temperature protection and delayed shutdown making them the ideal electric shower for the family bathroom. Currently available in 8.5, 9.5 and 10.5 variations with rear and bottom entry feeds and a comprehensive 2 year manufacturer’s guarantee, this new range is a commendable step forward for Aqualisa. Showers to You are pleased to be stocking this range whilst giving our customers the best value for money on these items. You will see from exploring the pictures of the range that these products are ideal for any bathroom. With summer now hitting full swing, the launch couldn’t have come at a better time. What better way to cool down? If you would like to find out more, please email: [email protected] or call 01472 242159. Showers to You -Simply, showers! Please keep updated via Facebook and Twitter too.